WhatsApp is one of the most popular chatting apps for all mobile users around the world. Its user-friendly interface has acquired more than 1 billion users as of April 2017. It provides a convenient mode of communication in our routine lives for exchanging all types of messages from casual to urgent ones. WhatsApp offers clean basic functionalities for sending and receiving text messages, voice recordings, images, videos, and even making phone calls over the network with end-to-end encryption for security. Do you know, WhatsApp has become the new Desktop App? Now you can access your WhatsApp conversations on your computer actually running on your mobile. I am sure after reading this post, many of you would really want to use WhatsApp on your computer. WhatsApp can be installed as a software on your computer, but we have got a quick access option now. No software downloads, no third partly tools, just few simple steps and you are done. Needless to say, your computer should have internet connection to be able to use WhatsApp for sending and receiving chat messages on it exactly the same way you are doing on you mobile phone. 1. Search WhatsApp web in Google or goto http://www.web.whatsapp.com on your computer. WhatsApp web is a computer based extension of your WhatsApp you are using on your mobile. On the homepage, instructions to access WhatsApp on your computer are given for all types of mobile users like Android, iPhone and Windows phone. If you wish to remain signed in to WhatsApp once the connection is established, click on ‘Keep me signed in’. 2. Open WhatsApp on your mobile and goto WhatsApp settings→WhatsApp web. 3. Scan the QR Code shown on whatsapp.com in your mobile. 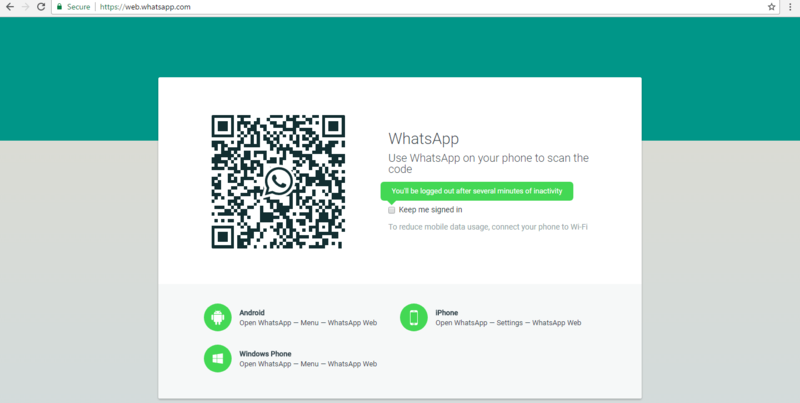 By scanning the QR code, you are actually synchronizing WhatsApp running on your mobile with WhatsApp on your computer. 4. Once the code is scanned, your WhatsApp chats will appear on your computer. All groups and individual chats already existing are now seen on your computer and you can add new group and start whatsApp conversation in exactly same way you are doing in your mobile. 5. Once you finish using whatsApp on your computer, you can goto settings → Logout. Alternatively, you can download the native desktop app for free. This native app is designed to be used on any operating system on your computer and supports almost all browsers. Goto WhatsApp →Menu→WhatsApp Web and select Logout from all computers in case you forget to logout before leaving your computer. 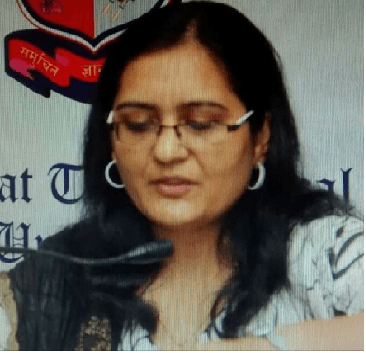 Nidhi Arora is a technophile and a fervent academician having expertise in web technologies. She has been a conscientious enthusiast in exploring fundamentals of high-end technologies and has written many research papers in National and International journals. Simply wish to say your article is as astonishing. The clearness in your post is just cool and i can assume you’re an expert on this subject. That is very attention-grabbing. I have joined your rss feed and stay up for in the hunt for more of your great post. Also, I have shared your website in my social networks. I am sure this article has touched all the internet viewers, its really really pleasant. I do not even know how I ended up here, but I assumed this put up was great. Definitely you’re going to a famous blogger if you aren’t already. Yes this article is in fact nice and I have learned lot of things from it concerning blogging. thanks. I just want to tell you that I am beginner to blogging and site-building and definitely enjoyed your web page. You definitely have tremendous stories. Appreciate it. I will recommend your web page to my friends. You undoubtedly surpassed our expectations. I am happy to read this and then hope that you comprehend what a powerful job you are putting in educating the mediocre ones with the aid of a site. Thank you so much for giving everyone a chance to read from this blog. It really is enjoyable and jam-packed with a lot of information. Thanks for your time and your skilled and sensible help. I won’t hesitate to refer your blog post to anyone else. You really make it seem so easy with your presentation but I find this topic to be actually something which I think I would never understand. I am looking forward for your next post! I simply want to say I am just very new to blogs and seriously loved this web blog. Almost certainly I’m going to bookmark your website. You absolutely have perfect well written articles. Spot on with this write-up, I truly think this web site needs way more consideration. All in all probability be once more to read far more, thanks for that info. I simply want to say I’m very new to blogging and certainly savored this website. More than likely I’m want to bookmark your website . You really come with very good articles and reviews. With thanks for sharing with us your blog. Hi there, just became aware of your weblog via Google, and found that it’s really informative. I’m going to watch out. I will appreciate for those who continue this in future. Numerous folks can be benefited out of your writing. Cheers! Its a cup of my tea who always try to keep one’s hands off from mobile.. One of the best features which combines mobile App towards Desktop App..!! it’s really small but significant information in JIO era.